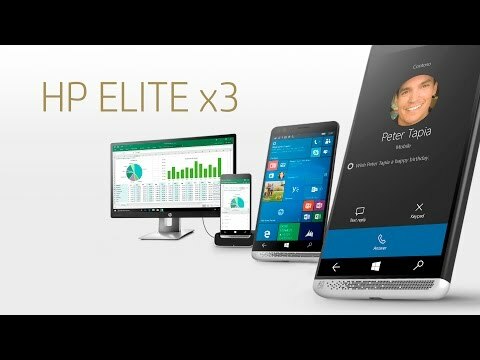 The Elite x3 puts the power of a PC in the palm of your hand. 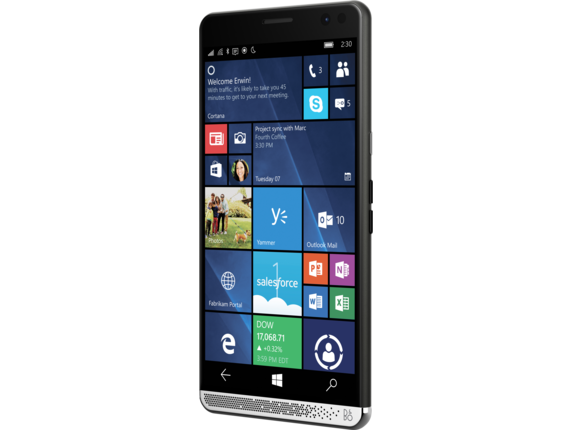 Boasting a brilliant 5.96-inch WQHD AMOLED multi-touch display, the Elite x3 gives you a clear view of your work—in and out of the office. Plus, the 16MP rear camera takes razor-sharp pictures and video, while the 8MP front-facing camera ensures you look your business best during video calls. Start working from anywhere and finish at your desk without saving, syncing or restarting your Elite x3 using Microsoft Continuum2 and optional desktop dock or laptop dock.3 That way you can switch to a larger display, keyboard and mouse without missing a beat. 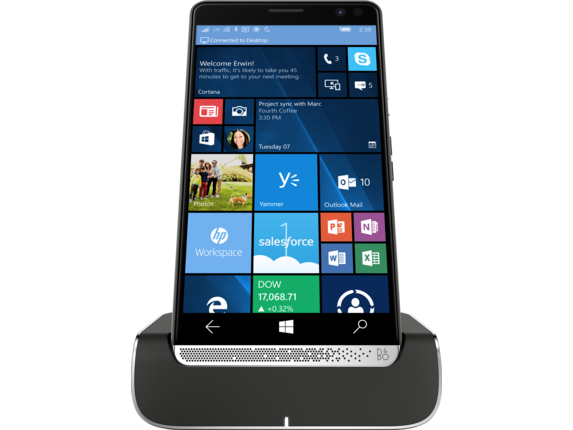 With HP Workspace,4 access your frequently used Windows and corporate applications virtually. Available as a service from HP, it’s a simple alternative to deploying and managing corporate-licensed apps and it includes analytics. Help your IT team reduce device and operating system footprints, and drive innovation for your mobile employees. The Elite x3 helps boosts the return on your IT investment, and your employee satisfaction and productivity. 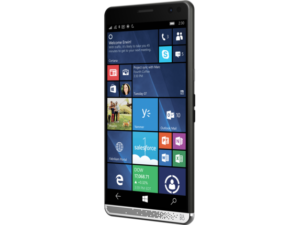 HP Services offers 1-year and 2-year limited warranty options and 90-day software support, depending on country. Batteries will have the same 1-year or 2-year limited warranty as the platform. Designed to pass IP 67, providing seals against liquid and dust ingress to IP 67 rating.18 Designed to pass MIL-STD 810G.